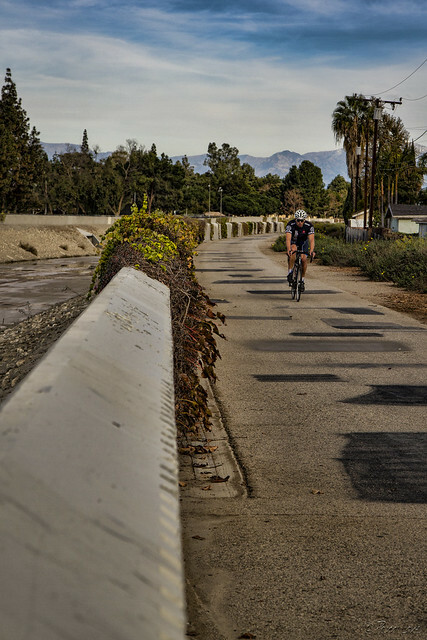 The foot and bike path along the Rio Hondo riverbed is one of my favorite paths in Downey. 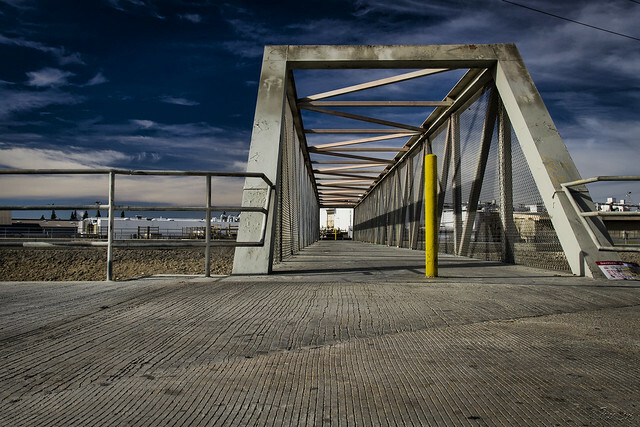 Here at the entrance by Crawford Park, this bridge provides a path to both sides of the riverbed. On the Downey side, the walk to the north takes you past the Rio Hondo Golf Course. On the other side, you pass the Bell Gardens Golf Course, followed by John Anson Ford Park. There are a couple of gates into the park, where you can take a pleasant stroll around its lake and watch all the ducks.